This was the same McDonald's that I was able to hunt down the Holiday Pie. Last winter, I was staying at the Stratosphere for 1-2 nights before flying on to Canada, or Chicago, or somewhere else. I usually stay at the Stratosphere because it has easy access to the public bus to the airport, which I can buy a cheap 24 hour pass (buying the 24 hour pass is cheaper at the airport bus than it is on The Strip buses), which I can use to get to the outlet malls to fill my mother/girlfriend/sisters shopping requests. 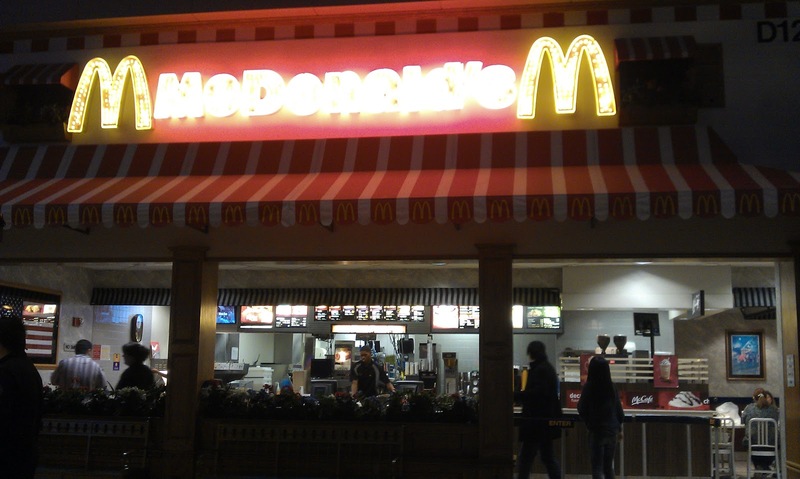 Always on a quest to save some money, rather than paying inflated hotel prices for drinks, or having to trek over to a grocery store, McDonald's at the time was offering any size Unsweetened Tea, for $1. Essentially you were just paying for the cup, then had unlimited access to both unsweetened & sweetened teas as well as the fountain pop, and ice water. 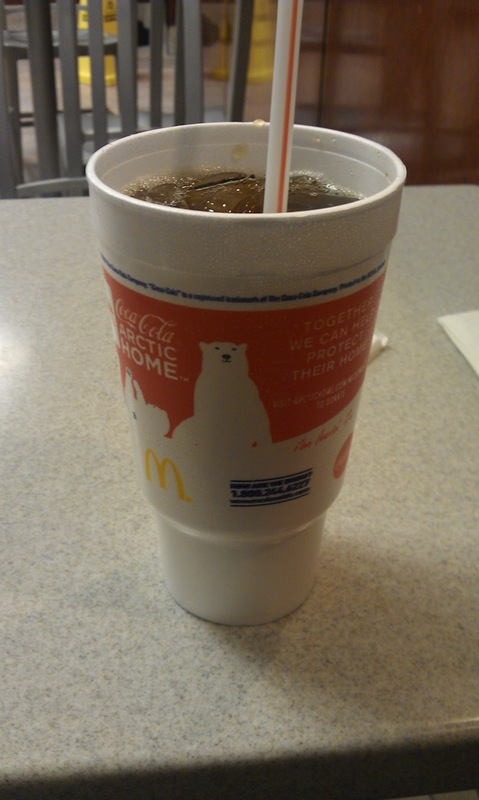 Naturally, I ordered the inhuman US 'Large" size, which was a +1L giant polystyrene cup. My plan was that I would buy one of these massive cups, sit and drink a bit whilst surfing the internet using the free hotel wifi, then when I was ready to go back to the room, I would top up the giant cup, and stick it in the hotel minibar fridge. It was a decent system for the couple days I was there. The unsweetened tea was decent enough, far from quality tea, but it would be a healthy alternative ordering the Sweetened tea, which if you had the same large size, would have over 280kcal, and 69g of sugar! I was a little skeptical at first, as I thought it might have been a artificially sweetened tea, but I was pleasantly surprised that it was indeed just unsweetened black tea. Just what one needs in the hot Las Vegas desert sun. I didn't try the sweetened tea, as I don't like sweet tea or coffee, but both blends use the same Orange Pekoe tea. I don't remember noticing much at the time, but I would imagine that the amount of caffeine in that much tea couldn't be good for you either. Not sure if this stuck around on the menu, if you know, leave a comment. Far from the best tea in the world, but a healthier sugar free alternative to Coke Zero for me, and you can't beat that price point. 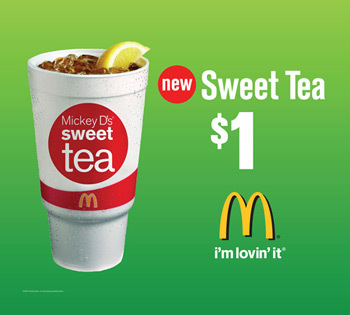 Sweet and unsweet tea is a standard menu item in the Southern US. both sweetened and unsweetened tea are available all the time in Minnesota too.